← Scholars Saturday – Should You? Or Not. Wow! Are they real??? Pretty fancy! A silver and blue brindle? FABulous!! if you needs some furs to pin that on, you knows where to find me…. Luffs it…just pawfect wiv EVERY outfit! I love it… efurry scottie is as precious as a diamond, right? Bling in our heart and on our chest where we put the pin! 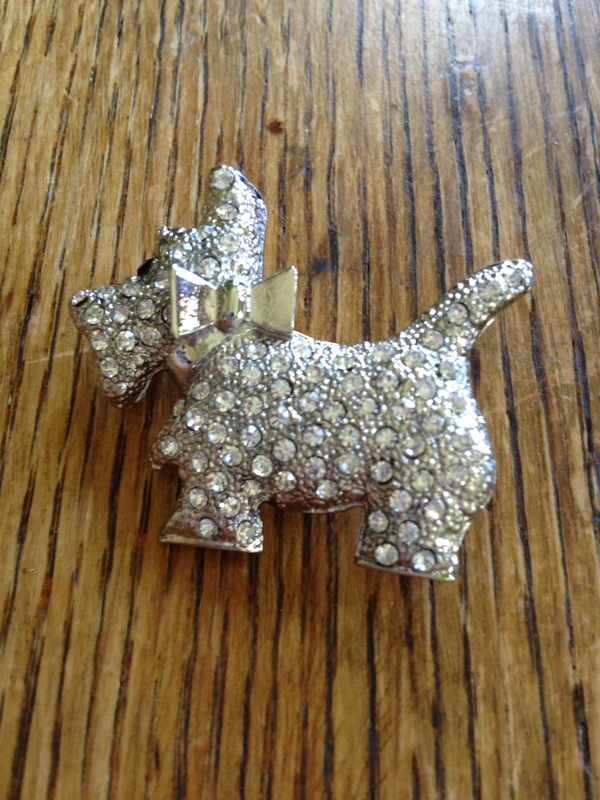 What a beautiful Stu brooch! We love it! Great pressie for Mother’s Day for da Peepstress from her Stu who loves he so much!